Prep: +44 (0) 1444 893200. 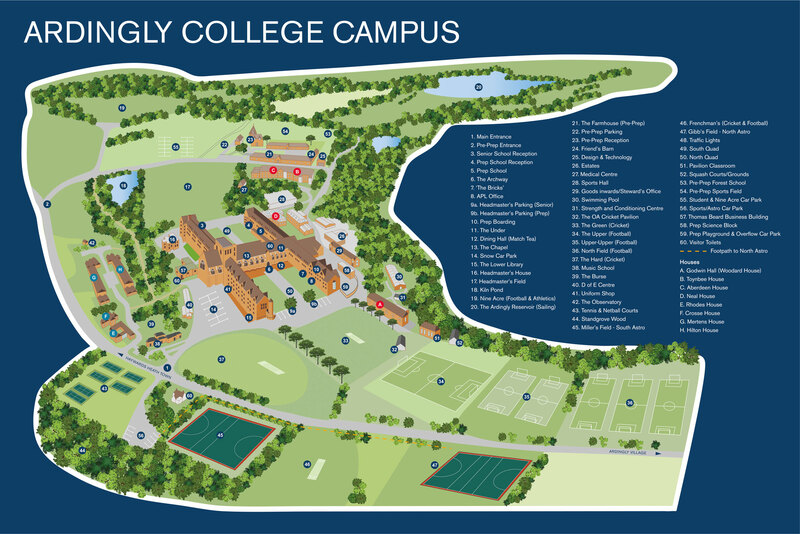 When arriving from the south please continue on College Road past the entrance to Ardingly Reservoir and our Pre-Prep School. The main entrance to the school is a further 600 yards up College Road just before a pedestrian crossing.